Magical Elsa Party Entertainment NYC! 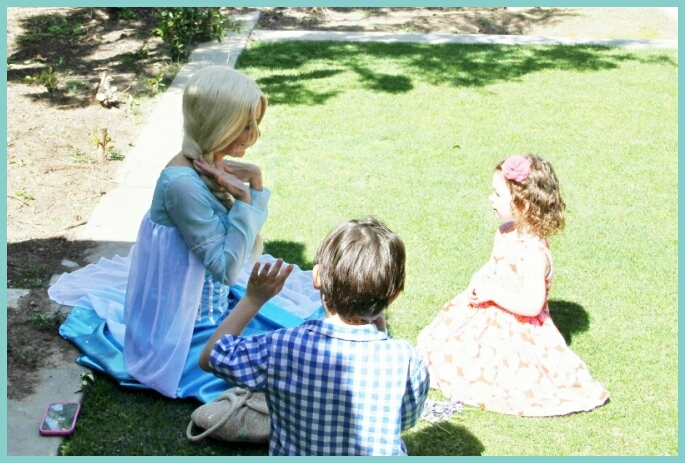 Amazing Snow Queen Parties/Elsa Frozen Parties Manhattan! 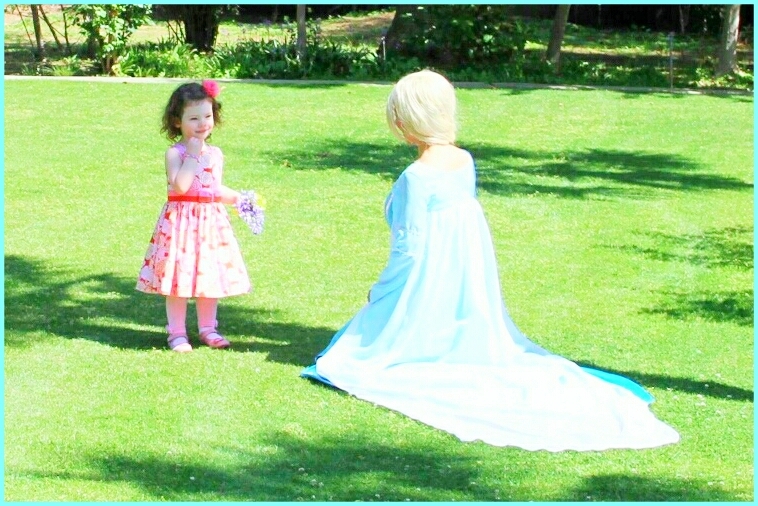 Our Snow Queen Elsa party entertainment & Anna party entertainment are enchanting children all over Manhattan and NYC! The Snow Queen and/or Anna do a wonderful, magical birthday party show (featuring themed music, magic and movement) and sparkly face painting, balloon art, or meet and greet/musical games. Our NYC princess performers are fantastic because they are chosen through an extensive audition process and are Broadway/National Tour actresses who are lovely, charming and excellent with children. At a Snow Queen Elsa birthday party entertainment and/or Anna kids party entertainment, the princess or princesses do an adorable Interactive Musical Adventure Show with fantastic singing, a bit of “real magic”, + your choice of Activity – sparkly face painting or balloons or meet-and-greet. 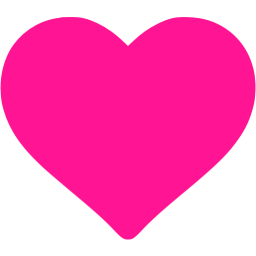 We love bringing our creativity, expertise and enthusiasm to children’s parties and events in the Manhattan and NYC area! You can check out our PARTY PACKAGES HERE. Also, you can see more PRINCESS PHOTOS HERE. Q: What does the Princess do at the party? 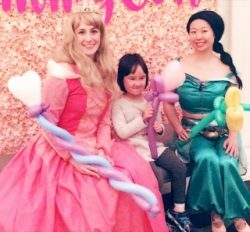 At our Elsa kids party or birthday, the Snow Queen can do fancy sparkly face painting or hand painting, or balloon twisting/balloon art, musical games, or meet-and-greet/walk-around. Q: How are your Princesses different from other party companies’ characters? Our princesses are professional Broadway/National Tour actresses, chosen from an extensive audition process in NYC. In our auditions our princess character applicants are required to sing AND act and improvise as the princess! They are also required to have teaching experience, and be lovely, charming and great with kids. Q: I hear that you specialize in Princesses that are great face painters? YES, we also specialize in princesses that have EXCELLENT face painting skills, and offer a wonderful Birthday Princess Face Painter package, which includes one-on-one interaction with the Princess, and gorgeous, high-quality face painting (for boys and girls). Q: What Princesses do you offer? We have all the popular Princesses, including Anna, Elsa, Cinderella, Sleeping Beauty, Little Mermaid, Moana, Snow White, Rapunzel, Jasmine, Alice in Wonderland, Belle, and so many more! Spring is here in NYC and our face painters and balloonists are having fun doing lots of outdoor parties, Central Park events and garden parties. Sometimes a real fairy or princess makes a visit, too! 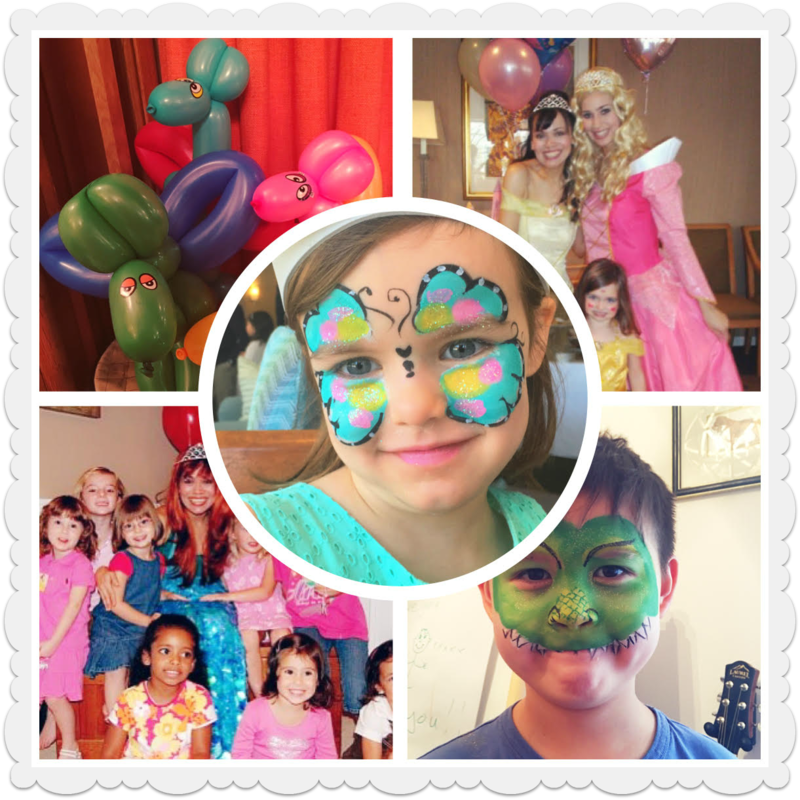 Check out some of the photos and designs from recent face painting balloons birthday party below, as well as a princess birthday party in NYC. There are so many great springtime face painting designs! Butterflies (especially in springtime colors like pink, yellow and aqua) You can check out our packages here. Our balloonists can make lots of fun spring-themed designs, including flowers, ladybugs, butterflies, and more! 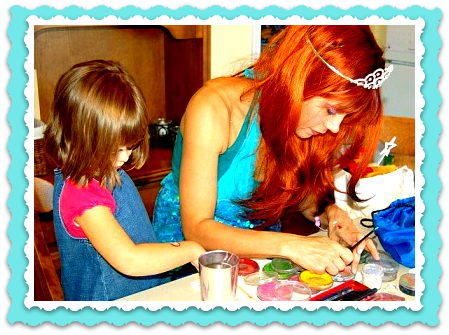 Another fun idea is to have a “Pretty Flower Fairy” or Princess visit your spring face painting balloons birthday party. Some of our popular fairies are: Blue Fairy, Tinkerbell, Pink Ballet Fairy, and Rainbow Fairy. To inquire for rates and availability, please contact us at kikisfaces@gmail.com, 646-435-4739. *We use the finest, top-of-the line, FDA-approved, non-toxic face paint. 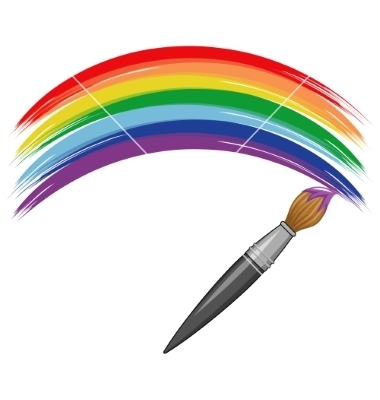 *Our face painters are super-talented – can do any and every face painting design imaginable for boys and girls, custom or popular, for corporate events or birthday parties in New York, NY. 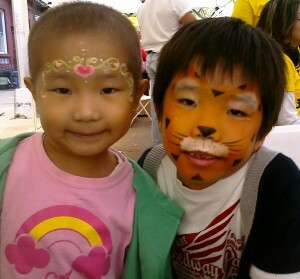 To check out photos of our work, check out our face painting photo gallery! Our most popular facepainting designs include (but are not limited to): Cat Face Painting, Tiger Face Painting, Princess Face Painting, Super Hero Face Painting, Elsa Face Painting, Frozen Face Painting, Butterfly Face Painting, Snakes, Flowers, Puppies, Hearts, Rainbows, Dragons, and more! We offer amazing full-face painting, partial face painting, cheek art, and hand designs for both girls and boys. Below is a sampling of the hundreds of face painting designs that a Kiki’s Faces and Balloons NY face painter can do! Featured in NEW YORK FAMILY Magazine! There is something so creative and magical about face painting at kids’ parties! I love face painting so much and when I paint kids’ faces, I like to have them actively participate in the creation process. Kids are amazing and totally imaginative and they come up with the best ideas! My favorite part about face painting, however, is how the child, once transformed, really believes he or she is that character! Face painting is not just limited to the face! Lots of kids (especially littler ones) can opt for a design on their hand or arm. The possibilities are endless…from fancy tiaras, mermaids, colorful butterflies, rainbow princesses, or kitties/puppies for the girls to Spiderman, Batman, dinos, snakes, spiders, cars, etc for the boys. Plus anything else that the kids can dream up. If you are a parent looking to hire a face painter, I recommend that you ask the face painter what type of paint they use. Professional face painters use top-of-the-line, high-quality face paints that are non-toxic (like Paradise, Wolfe, Snazaroo, Mehron). These are water-based paints that are applied with a brush.